APPLICATIO is an independent, international consulting company focused on assisting people, organisations and companies as well networks and regions worldwide in their sustainable development. 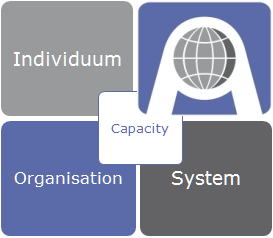 APPLICATIO stands for demand-driven, socially responsible and environmentally conscious "Capacity Development" with special experience and focus in developing and transition countries. APPLICATIO sees itself as a customer-oriented service provider who supports its partners - people, organisations and societies - with tailored solutions for their own sustainable development to successfully adapt to constantly changing framework conditions. APPLICATIO has over 25 years of experience in sustainable and sensitive planning, intercultural implementation and evaluation of development cooperation projects with emphasis in economic development, education, rural development and environmental topics. APPLICATIO supports the "Principles for Digital Development". Hamburg, December 2018: Since December 1, APPLICATIO officially supports the "Principles for Digital Development" and endorses these guidelines in projects with digital components. The nine guidelines are intended to help digital development practitioners integrate established best practices into technology-supported programs.